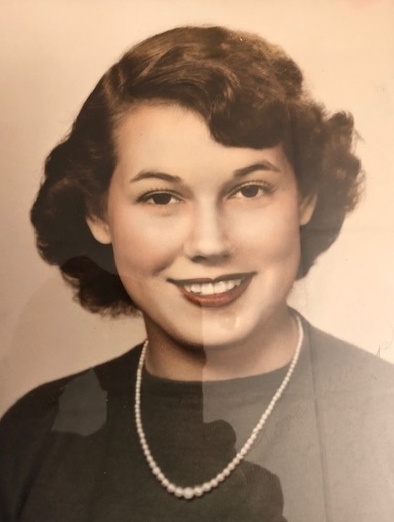 Barbara Jean Hollis McLendon, 83, of Cuthbert, GA passed away Tuesday, January 22, 2019 in the Wynfield Park Heath and Rehabilitation. Funeral services will be conducted on Saturday, January 26, 2019 at 1:30 PM in the chapel of Lunsford Funeral Home with Rev. Randy McLendon officiating. The family will conduct private interment services. Mrs. McLendon was born on June 30, 1935 in Byron, GA the daughter of the late Eugene V. Debs and Lorelia Busbee Hollis. She was a high school graduate, retired bookkeeper for the Randolph Tractor Co., Past President of the Camelia Garden Club and was a member of the Cuthbert First Baptist Church where she served as choir member, Sunday School Teacher and Youth Bible Leader. She was preceded in death by her parents and her husband, John Wesley McLendon. Survivors include 2 sons, Randy (Joni) McLendon of Englewood, FL and Marty (Julie) McLendon of Leary,a sister, Patricia Moody of AL, 2 brothers, Ronnie Hollis of Gainesville, GA and Rodney Hollis of AL, 4 grandchildren and 4 great grandchildren. In lieu of flowers the family request donations to be made to the Cuthbert First Baptist Church P. O. Box 274 Cuthbert, GA 39840.